After years of debate, researchers finally determined that persistent depression causes brain damage, and not the other way around. Neurologists previously had hypothesized that brain damage was a predisposing factor for chronic depression, but a new study published in Molecular Psychiatry sheds a different light. From my experience, my journey overcoming this condition started when I accepted what my misguided thoughts were telling me for what they were– thoughts. I found for much of my life that I tried to escape this state of mind which in a sense gave validity to it. One simple, but effective tool in breaking free from depression is to get in touch with the present moment. Meditation and yoga has been essential in my daily life. Surrounding yourself with positive individuals is also extremely beneficial in overcoming depression. Sometimes when someone is depressed they simply cannot see the light at the end of the tunnel or find any hope in their life. That doesn’t mean that those around them can’t show them it’s there though! Depression is not something that should be taken lightly. From 1999 to 2010 the suicide rate in the United States amongst Americans between the ages of 35 and 64 has increased over 25%. Additionally, a Centers for Disease Control and Prevention that report that spanned from 2007 through 2010 found that almost eight percent of individuals 12 or older suffer from depression. In the past, depression has often been thought of as a lifestyle that people are just too weak to climb out of. Other people might incorrectly assert that depression is a sign of mental weakness. Whether depression is a disorder or disease doesn’t matter. The fact remains that depression is a debilitating condition that drastically affects the lives of millions of people all over the world. Depression is not just sadness, nor is it is symptom of weakness. It isn’t discriminatory against race, gender or ethnicity. 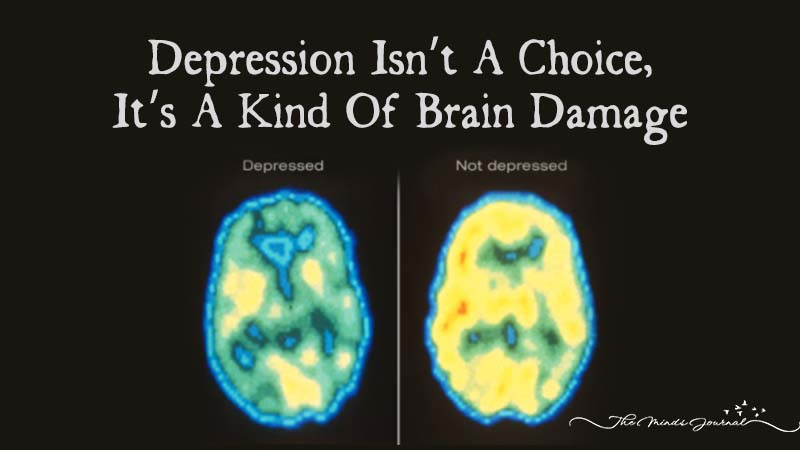 Most importantly, depression is not a choice.